You live in a digital world and we've got you covered. Celebrate your independence by supporting an independent author. On sale now. 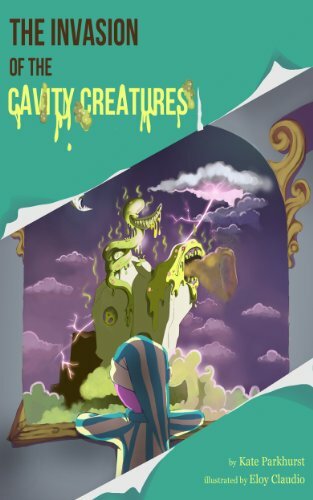 The Invasion of the Cavity Creatures is now available in three different electronic formats that can be read on iPad, Kindle or any other device where you can read a PDF. Choose any format you like for just $4.99. No iPad? No Problem! This PDF version of the book can be read with any viewer. Download a copy now for instant gratification!